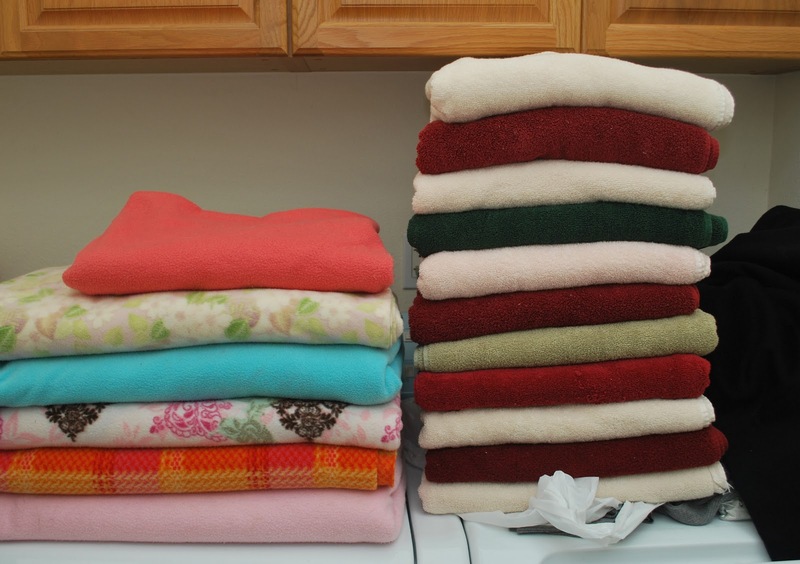 This is what it looks like in the laundry room when our humans change our C&C cage and wash all of our laundry. 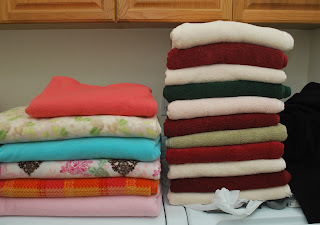 On the left is anti-pill fleece, while the towels that are layered underneath the fleece are stacked on the right. We usually don't use quite this much at a time. Usually we use four pieces of fleece and eight towels per changing, but then again our cage is sizeable. Not bad for five guinea pigs.